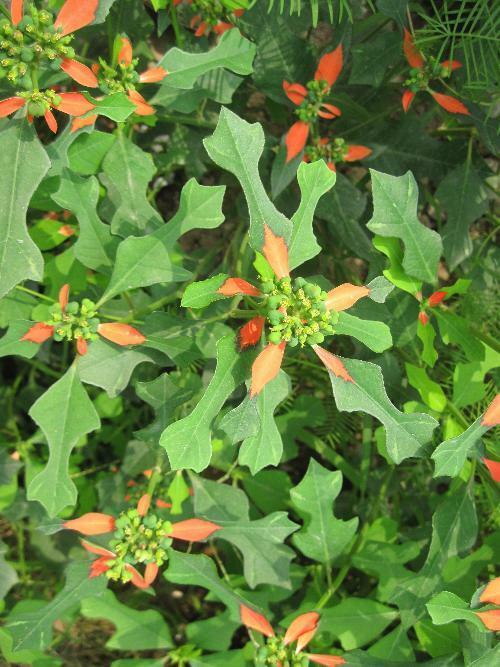 The drug is the dried or fresh whole herb of Euphorbia pulcherrima Willd. (Family Euphorbiaceae), growing originally in Maxico and reed-America, and cultivated all over China. Whole herb contains phytosterol, amyrin acetate, cycloartenol, stigmasterol, germanicol acetate, etc. Cool blood, regulate the menstruation, dissipate stasis and relieve swelling. Menorrhagia, traumatic injury, fracture and traumatic bleeding. Decoct 3~9 g. Proper dosage is for external application, pounded for applying with the fresh.